Although being bombed from above by another aircraft was probably not unusual on operations where large numbers of various aircraft were attacking the same target, it seems that PO. Arthur Fitzgerald and his crew were less fortunate than others that on two occasions in their short life as a bomber command aircrew, it happened to them twice! The first occasion was on the 26th June 1943 on a raid to Wuppertal. taking off from Langar at 22.48 they headed for this target and during their bombing run, they were suddenly hit by incendiaries dropped by an aircraft flying above. 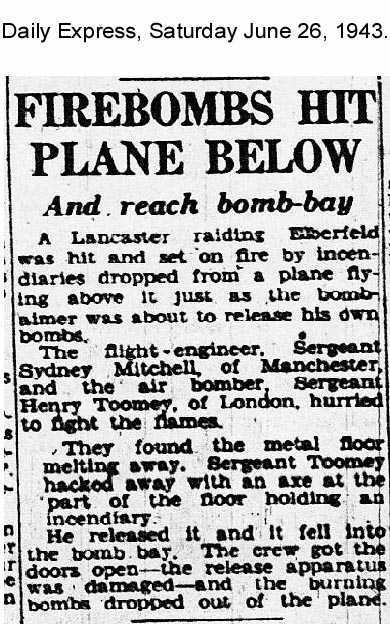 A total of ten incendiaries hit their aircraft, LM326 - EM-Z, five went through the fuselage, one went into the port fuel tank and fortunately did not set fire to it, two landed under the Mid Upper Gunner and set fire to the floor of the aircraft and two more fell outside the rear turret of John Goodwin blowing his intercom to bits and also the doors of the turret in. 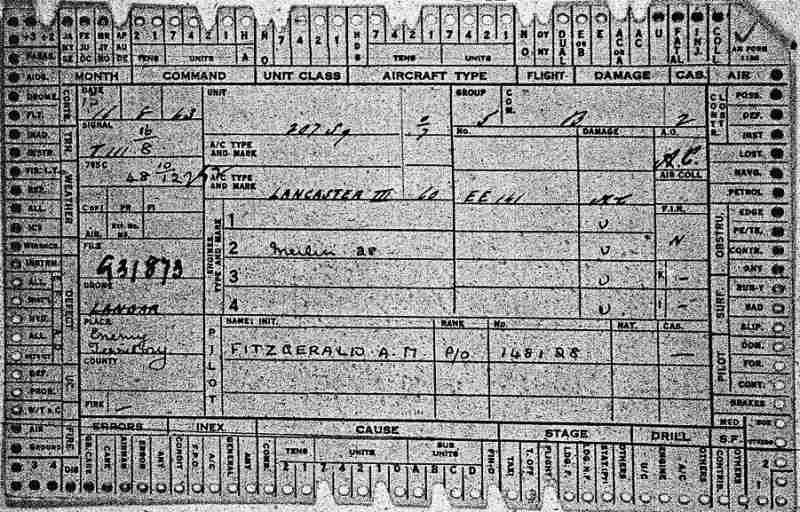 Quick action by Sgt's Mitchell and Toomey in cutting the floor of the fuselage away allowing the burning incendiaries to fall into the bomb bay using the axe in the aircraft stowed for emergency use saved the aircraft and it was able to finish its bombing run and head back home landing at Langar at 04.22. The second incident happened on the 16th August 1943 on an operation to Milan, a long hazardous and arduous journey to and from the target. The Lancaster III aircraft they used was EE141, EM-P which they had flown in on their previous three operations to Turin, Mannheim and Nuremberg. 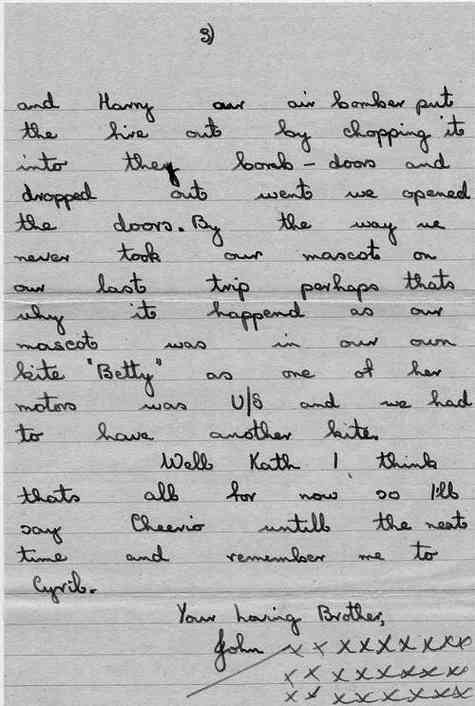 Whilst over Milan either preparing too or about to drop their bombs again they were hit by incendiaries dropped from an aircraft flying above them. 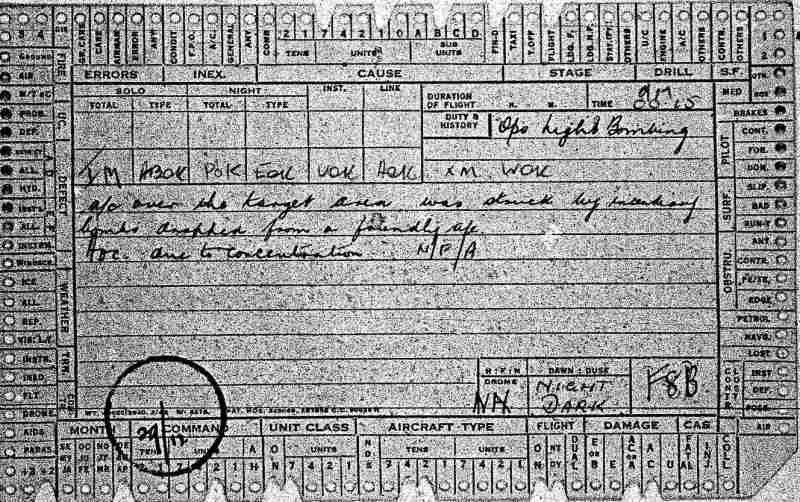 Below are the front and reverse of a crash log detailing the incident. 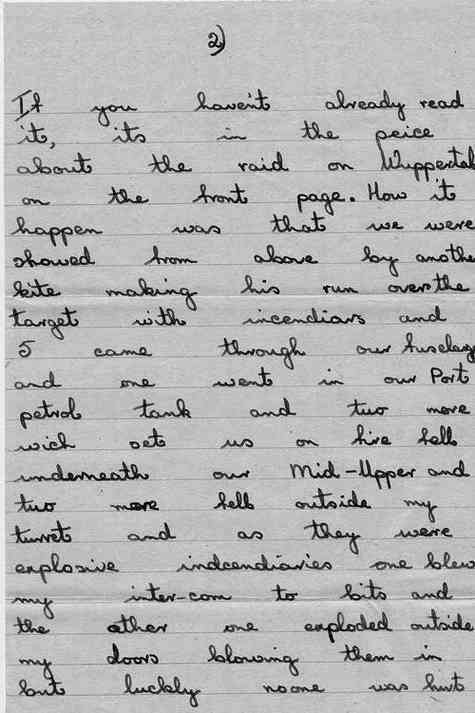 The report states: "a/c over the target area was struck by incendiary bombs dropped by a friendly a/c. 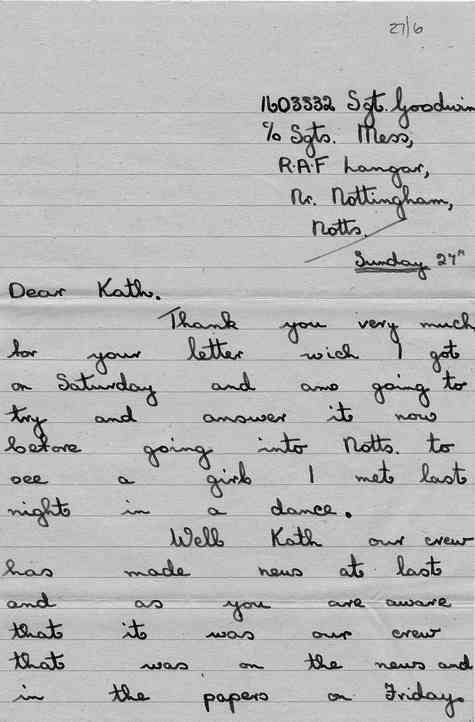 Aoc due too concentration N/F/A"
The documents above have been kindly sent to me by Tony Glover and his brother who are compiling a book of aircraft incidents in Nottinghamshire between 1928 and 1945. 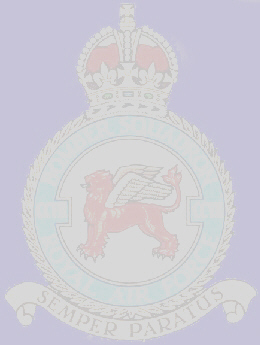 Their aim is to publish the data in diary form and include information on RAF squadrons, airfields, etc.